Being independent and living on your own is a rite of passage for young adults. For recent Brigham Young University alum Lauren McLane, the ability to go where her talents led her has made all the difference. The Illinois native has been far from home for a while now, spending her undergraduate years in Provo, Utah and recently moving to Little Rock, Ark., where she began her career as a marketing consultant this past summer. Relocating to a new city and starting a new job comes with its own unique set of stresses. 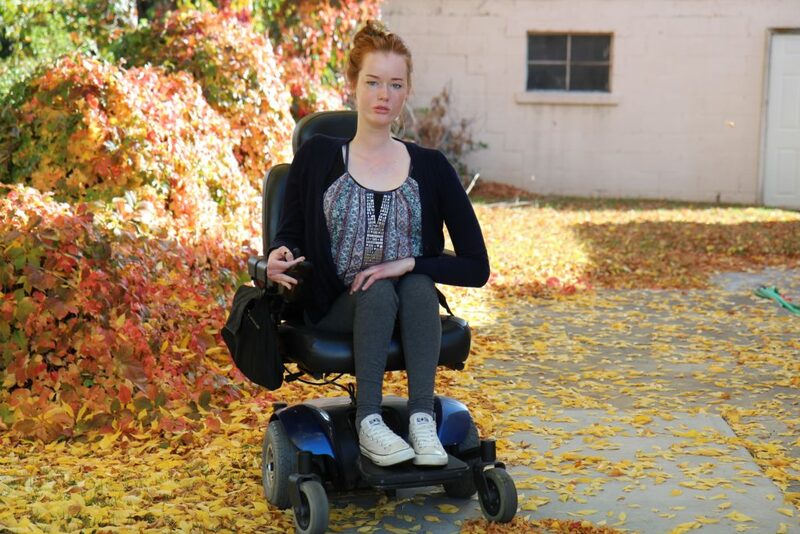 Lauren, who lives with fascioscapulohumeral muscular dystrophy (FSHD), not only had to deal with a cross-country move but also find an accessible apartment and reliable in-home care as well. “I needed to find someone who could come in the morning and help me get out of bed, help me get dressed, come throughout the day to help with general housework, chores and cooking and then come back at night to help me get ready for bed,” says Lauren. And that’s where SYNERGY HomeCare came in, providing not only exceptional care services but the assistance Lauren needs to live an independent life. SYNERGY HomeCare is the premier provider of home care services and strives to offer their clients like Lauren the highest quality of life and independence attainable. Dedicated to exceptional and affordable service to anyone of any age, SYNERGY HomeCare and their caregivers are available 365 days a year, 24 hours a day. “If it weren’t for SYNERGY HomeCare, I would have had to move back in with my parents after graduation. They aren’t getting any younger and it would have become more difficult for them to help me,” shares Lauren. 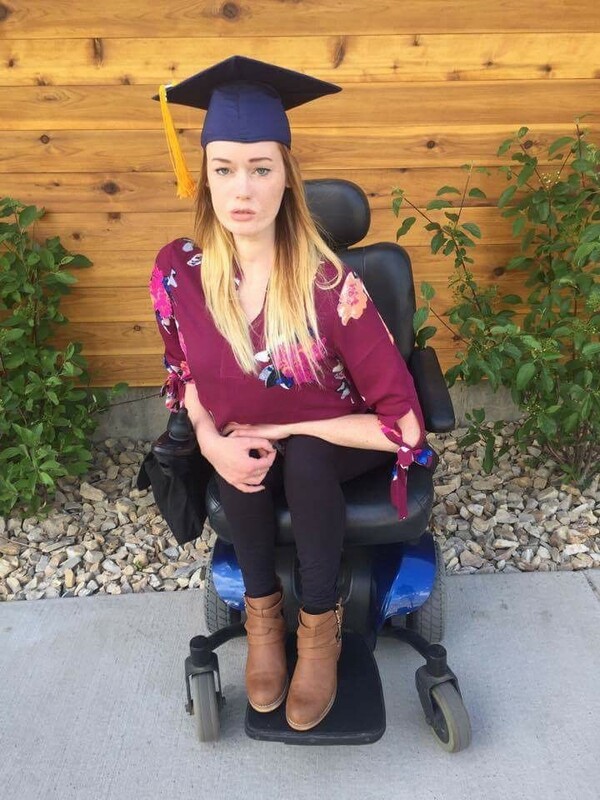 While she admits that transitioning from college to the “real world” has been a unique experience; most notably going from living with five roommates to now living on her own, she’s adapted quite smoothly to her new normal, thanks in part to SYNERGY HomeCare. “SYNERGY HomeCare allows me to live on my own, get a job, be my own person and live a normal life,” says Lauren. Lauren also credits SYNERGY HomeCare for helping her meet new people and make friends in her new city. “I’ve connected really well with the caregivers and have become friends with them,” says Lauren. Moving to a new place is not always easy and living with FSHD can complicate matters, but Lauren believes these types of challenges shouldn’t stop anyone from living an independent life. Her advice for individuals who might be apprehensive about accessing home care: just try it! “The people who work for SYNERGY HomeCare are extremely nice and really there for you. If you’re nervous, just give it a go. Receiving home care has opened the door to a lot of opportunities for me,” says Lauren. When she’s not working, Lauren enjoys drawing, painting and exploring downtown Little Rock. Help kids and adults like Lauren continue to #LiveUnlimited!